The Seattle Times is reporting on one of the largest excessive force settlements paid in Washington state pre-trial: $1.75 million for the January, 2017 shooting of Jeremy Dowell. The case was handled by Budge & Heipt. 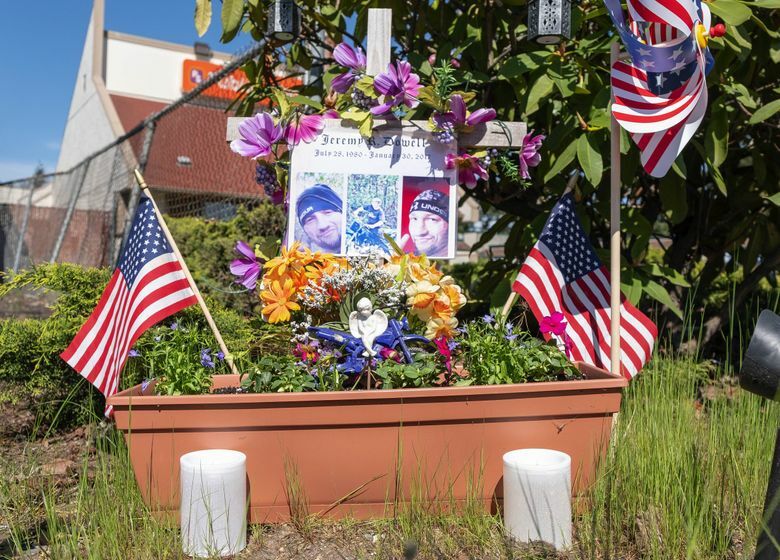 The city of Lynnwood has paid $1.75 million to settle a lawsuit in which a dozen witnesses questioned the actions of a Lynnwood police officer who fatally shot a knife-wielding man on Highway 99 last year, an attorney for the man’s family said Wednesday. The federal lawsuit, brought in May on behalf of the parents of 36-year-old Jeremy Dowell, a man with mental-health issues who was shot multiple times, accused Officer Zachary Yates of “outrageous and reprehensible use of deadly force” during a midmorning confrontation on Jan. 30, 2017. Seattle attorney Ed Budge, who filed the suit along with his partner, Erik Heipt, called the payment one of the largest in Washington state involving excessive-force allegations against police, particularly in a case resolved without going to trial. He said the settlement will be divided among Dowell’s mother, Suzette Dowell, his stepfather, Robert Dowell, and Jeremy Dowell’s estate. As part of the settlement, the city made no admission of wrongdoing on the part of the officer, Budge said. Lynnwood officials couldn’t be reached for comment Wednesday. Although the suit named only Yates as a defendant, the city’s insurance risk pool paid the settlement sum as part of its legal obligation to defend him, Budge said. The suit also alleged that the Snohomish County Multiple Agency Response Team, which is known as SMART, and carries out independent investigations of the use of deadly force by police in the county, conducted a biased inquiry that found Yates acted reasonably. In contrast, 12 witnesses who provided sworn declarations to Budge challenged the official version in stark and sharply critical language. While no one disputed that Dowell was carrying a knife, six people who said they saw the initial confrontation said Dowell never directly threatened Yates. Ten of the witnesses said Yates continued to fire shots at a helpless, stumbling or severely injured Dowell. Five said some rounds were fired while Dowell was on the ground and half the witnesses described the shooting as a slaying. The suit alleged Yates quickly jumped out of his patrol vehicle, pursued Dowell on foot and almost immediately began shooting him. He said the shooting should be re-examined by the prosecutors, Lynnwood police and the SMART team. Based on SMART’s findings, Snohomish County prosecutors declined to bring criminal charges against Yates. Prosecuting Attorney Mark Roe began a review of the investigation in May after being shown the declarations but has yet to reach a conclusion. Yates responded to the incident after Dowell walked into Western Carpet Center about 9:30 a.m., where he reportedly accused the owner and an employee of wanting to kill him. The owner called 911, saying Dowell had been hostile and referred to ISIS, the extremist Islamic military group, before leaving the business. “I recognized ISIS to be a terrorist group that is known for creating terror and specifically attacking innocent civilians in unconventional ways and in particular to commit ‘Lone Wolf’ attacks,” Yates later wrote in a statement. Yates said he saw Dowell bolt across Highway 99 toward a Costco parking lot, where he witnessed Dowell reach into a backpack. But as he stopped, Yates said, Dowell abruptly turned toward him, forcing Yates to backpedal. In light of the earlier disturbance call and the reference to ISIS, Yates said, he felt he and the public were in danger because of Dowell’s irrational behavior. Yates said he recalled ordering Dowell to drop the knife, along with other officers. When Dowell ignored the orders, Yates said he fired once, thinking Dowell would fall. However, the officer said Dowell continued to move toward him after being shot two more times, Yates wrote. Yates said he feared Dowell was moving toward another officer, Hubby, before Dowell dropped to the ground and attempted to get back up and come toward him again. “I remember feeling a sense of panic as I knew I had fired several rounds and the rounds that I fired did not appear to have the intended effect of stopping him,” Yates wrote. Dowell fell to his “knees/feet” but continued to ignore commands to drop the knife, Yates said, adding he feared Dowell would become mobile again. “I fired several more rounds center mass” that knocked Dowell to the ground, wrote Yates, who fired 10 shots overall. Witnesses who later provided the declarations raised questions at the scene. Rachel Hodson, 22, wrote in a written statement that day that she heard two shots, then saw a police officer pointing a gun at a man. She said she gave investigators contact information but didn’t hear from them.